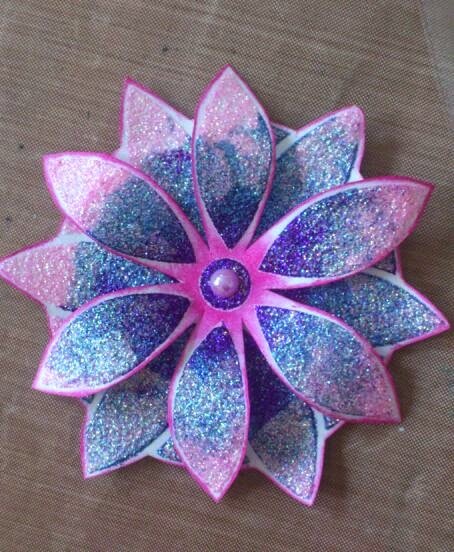 Imagination Crafts is on stand A22 at the Hobbycrafts show, at the SECC in Glasgow this weekend. Sue will be demoing some fab techniques with all sorts of IC products, so stop by & say hello. Great demoes & new crafting goodies to buy - win win! Good morning crafters, happy Friday. 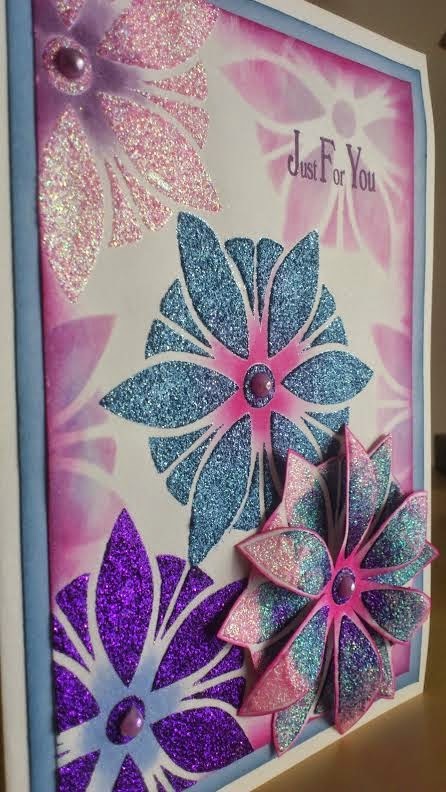 We wanted to let you know that the very talented Kay Carley has six pages of fantastic projects & a detailed step-by-step featuring Imagination Crafts' Sparkle Medium & stencils, as well as stamps from Lavinia Stamps, in the April issue of Craft Stamper magazine. It is on sale from today in branches of WH Smith & all good newsagents. Facebook page, or via Twitter. We would love to see your creations. Until next time, have a great weekend. We hope you have had a lovely weekend and now we are into March. Spring hopefully is just around the corner, the nights are drawing out. 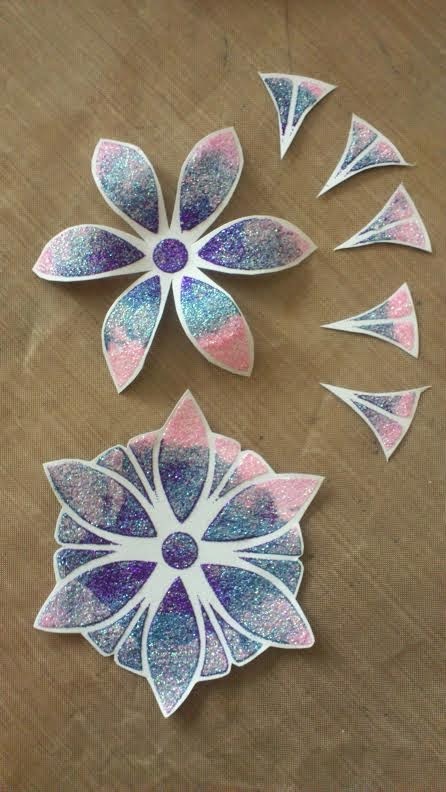 Today we have a beautiful tutorial by Amy. Lilac & pink pearl gems. 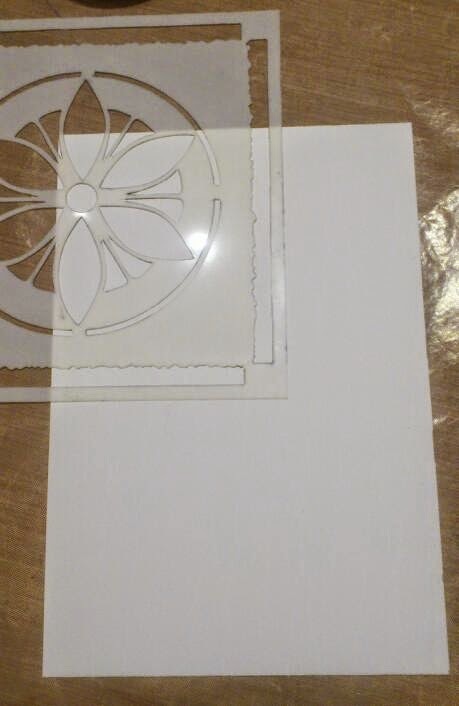 Begin by folding an A4 sheet of white card in half to make your card blank. Cut a piece of light blue card & inked around the edges with faded jeans distress ink. This was then mat onto the card blank. 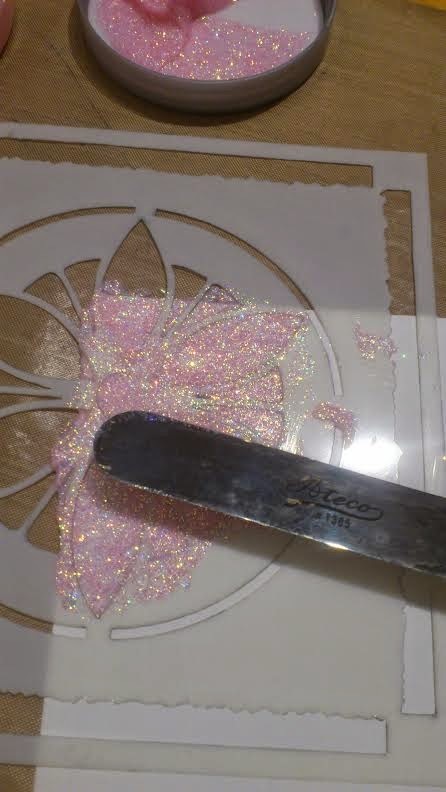 Place the tile petal stencil on a piece of white card and using a palette knife apply candy floss sparkle medium over just the flower part of the design. 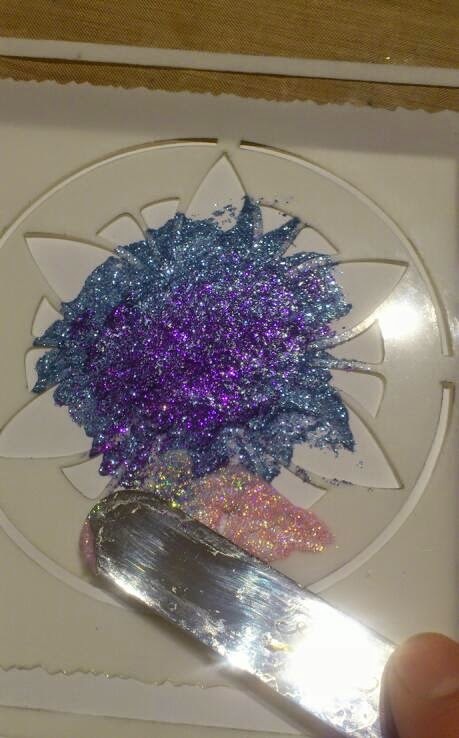 You may feel happier masking the other areas so as not to apply medium in unwanted places. 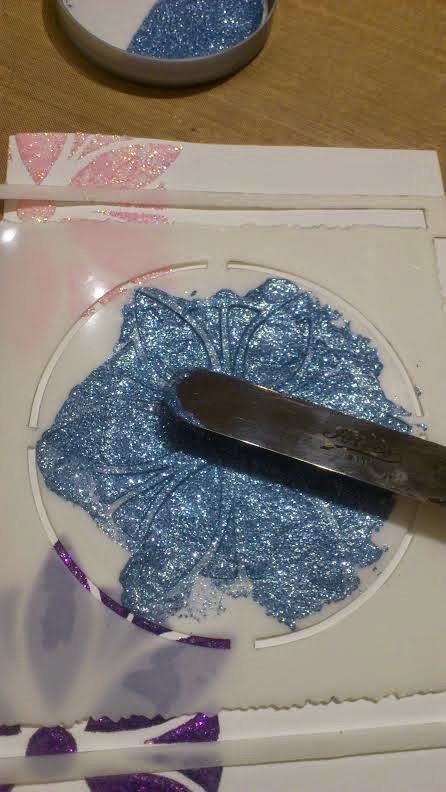 Allowing drying time & cleaning the stencil in between, repeat the process using periwinkle and then the amethyst sparkle medium. 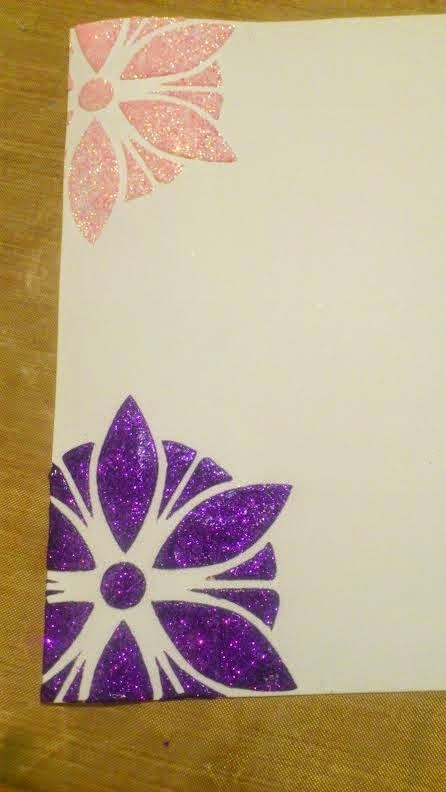 On 2 separate pieces of white card using the same stencil and again only using the flower part of the design applied the sparkle medium. 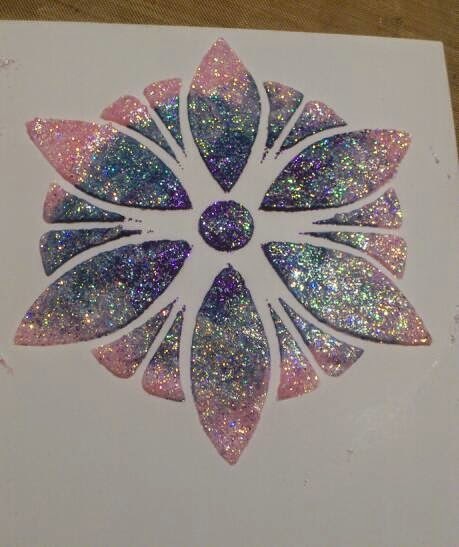 Apply all 3 colours starting with the amethyst in the centre followed by the periwinkle and then the candy floss for the points of the flowers. 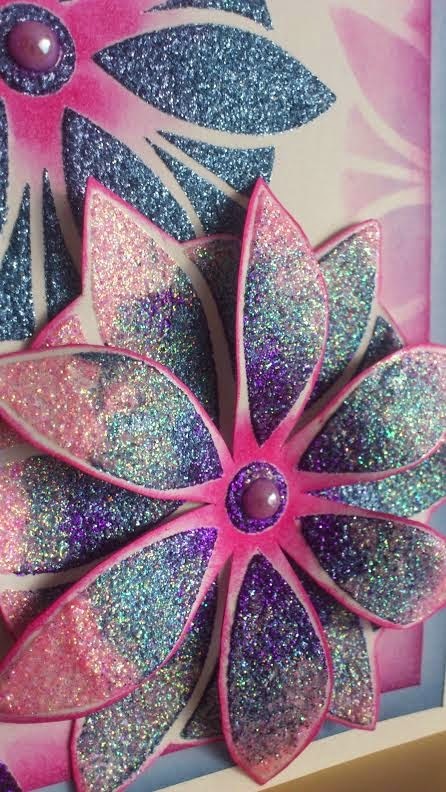 Once dry cut out both flowers leaving only the petals on the second, then shape the petals to give dimension inked around the edges with picked raspberry and glued it into place on top of the first flower. 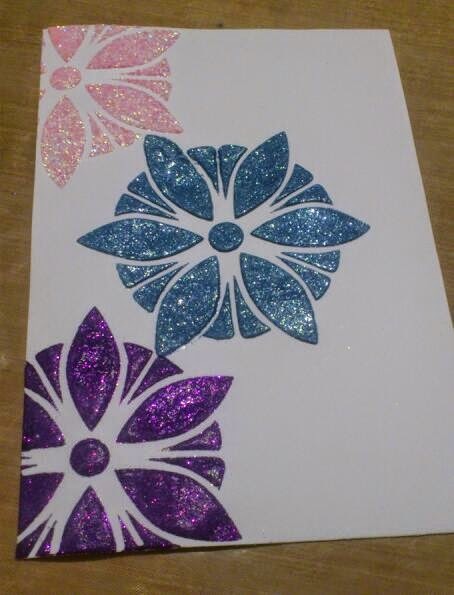 Using the stencil again with the same distress inks as before fill the white spaces on the background leaving a space bottom right for the flower. 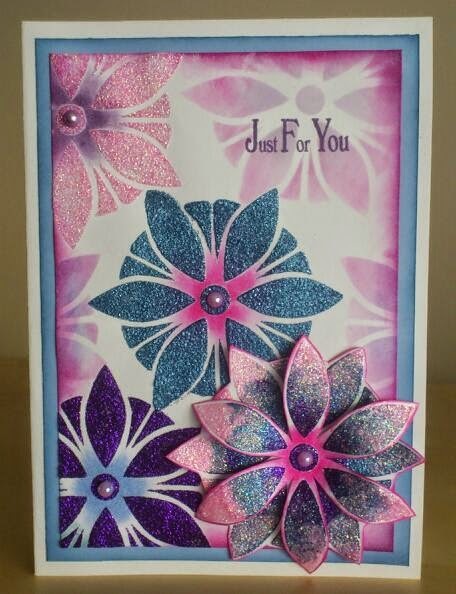 Stamp the Just For You sentiment from the Freesia Border Decoupage stamp set to the top right of the background using dusty concord distress ink and then adhere the flower in place. 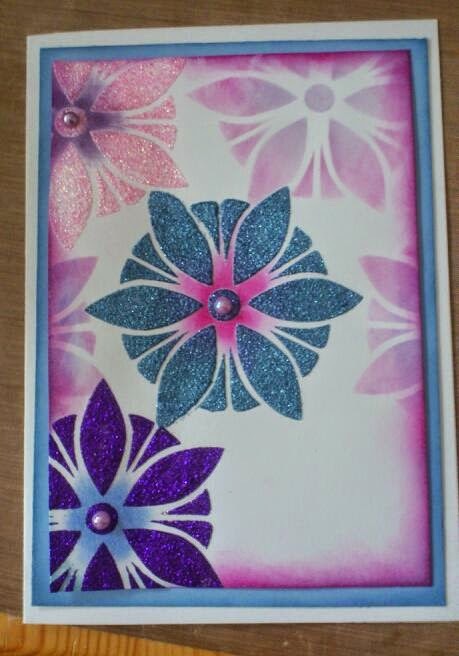 Finally, add lilac pearl gems to the centres of the flowers. Thank you for visiting and we hope you enjoyed the tutorial.